So here are our Top Tips to take note of before you book your first one. If the wedding fair / showcaseis in a hotel that you are not familiar with, always enquire about the hotels reputation as a wedding venue. Research any feedback, testimonials and reviews that may help you decide if this is the best venue for you to show case your work. Who is planning the event, is it the Hotel or is it outside event organisers. This may determine the footfall to the wedding fair. Always check out other events they have organised and maybe speak with business that took stands at other events. How many stands are they proposing to have? Are there duplicate business or will you be the exclusive florist at the event? What size is your space at the event? Is their a wall behind you or side dividers ? Do they provide a table or do you bring your own? If they do proved the table is their a table cloth on it ? Is electricity and lighting provided? You may wish to plug in a TV or laptop. Where will you be positioned at the event? At larger events the prime positions are usually the most expensive. Smaller hotel venues can usually be first come first served, but don't be afraid to ask for a prime space. When can you set up your stand? Some venues allow you to set up the night before, but check about security if you are leaving anything valuable on your stand. Good tip to have a large cloth to cover your stand with when you leave. Will there be a fashion show at the event? Who is responsible for running the fashion show? Its good to get an idea of the style & colour of the dresses being modeled so you can match your colour scheme around it. Show case your work on a large TV screen. Make sure your images are good images preferably professional images. When making a slide show a 3 second time laps is plenty, add music to the slide show just in case you need it but chances are you wont. 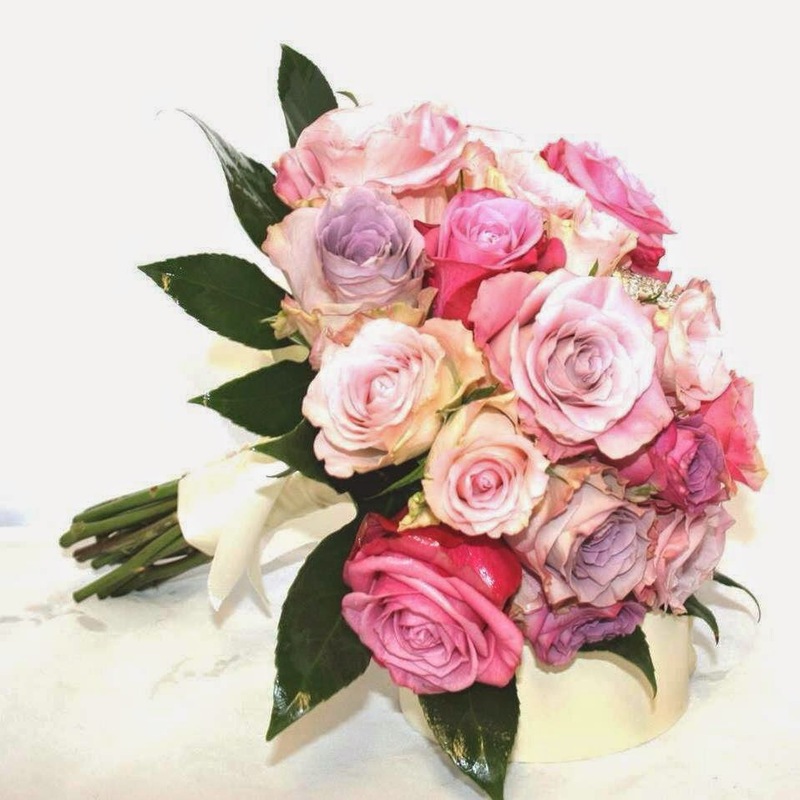 Liaise with the photographer on the day and ask him to take photos of the models carrying your bouquets, you can cross promote each other on social media after the show. Encourage people to come to your stand by maybe having a bowl of sweets on hand, or give everyone that comes to your stand a free rose, they will all flock over for one. SMILE, nothing worse than someone looking bored, sad, angry etc at a fair, your smile is free, use it. Dress Professional, I know in a flower shop we are hauling buckets of water, lifting bundles of foliage and sweeping up cutting constantly, so smart comfortable clothes is the norm, but at a fair first impressions last, dress to impress. Run a competition for a Bouquet of flowers or something, ask customers to enter by filling in a competition slip with their email address and phone number. Under data protection they must opt in to allow you contact them, so give them the option. This will help you to build up a data base of prospective brides. The big questions we get asked is how many bouquets etc do I bring - I would say a minimum of 3 different types / designs, show your skills. A selection of button holes ( you could ask all the men in suits on the other stands to wear them also) depending on space a large arrangement and maybe a unity candle arrangement. The burning question then is how much is a stand at a wedding fair ? Our answer is how long is a price of string? The price really depends on the event, the size, your position, if its a one day event or a weekend event. If the wedding fair is in a hotel, there is more flexibility with pricing, some hotels will allow you decorate the dining room as your fee, this is a great opportunity to show what you can do and also build up portfolio photos. Some will just charge a flat fee. With all events, don't be afraid to ask for a better price, position or size.